Two people were stabbed and another was injured in a "serious assault" that saw cruisers descend on Brock University Thursday night and briefly closed its campus. Two students were stabbed and another was injured in a "serious assault" that saw cruisers descend on Brock University Thursday night and briefly closed its campus. 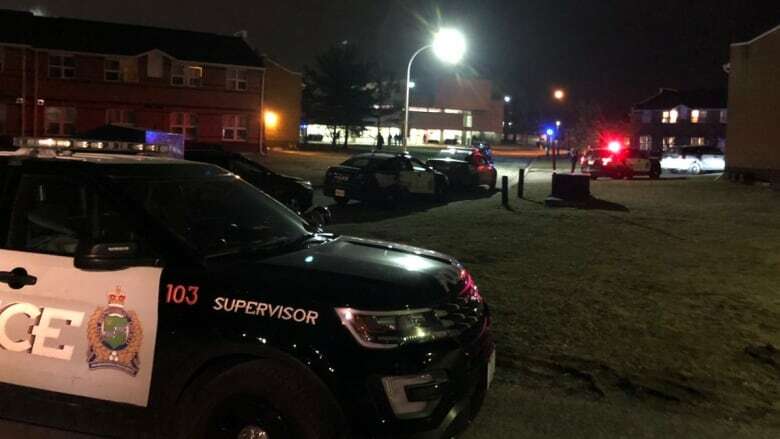 Niagara Regional Police were called to the school around 8 p.m for what was initially reported to be a shooting, media relations officer Phil Gavin said in tweets. Brock Campus Security tweeted it was investigating an incident together with Niagara police at Village Residence, located on the southwest end of the campus. Officers arrived to find three male students in their twenties injured near the residence. Two had non-life threatening stab injuries. The third had a non-life threatening injury from a struggle with the suspects, police say. <a href="https://twitter.com/hashtag/BrockInc?src=hash&amp;ref_src=twsrc%5Etfw">#BrockInc</a> 17. Correction. Two victims were stabbed. The third victim was injured in the struggle. The 3rd Victim was not shot with the pellet gun, it was an element of the incident. The victims have been treated and released. The weapons used have not been recovered by police, Gavin said. <a href="https://twitter.com/hashtag/BrockInc?src=hash&amp;ref_src=twsrc%5Etfw">#BrockInc</a> 20. Suspect 1 - male non white possibly, East Indian in his 20s. Slim build. Wearing a dark toque, and a mask over his lower face. Dark clothing. <a href="https://twitter.com/hashtag/BrockInc?src=hash&amp;ref_src=twsrc%5Etfw">#BrockInc</a> 21. Suspect 2 - male non white possibly, East Indian in his 20s. Slim build. Wearing lighter coloured clothing, possibly grey pants. Police are looking for two suspects. One is a slim man in his 20s, possibly of East Indian descent, wearing a dark toque, dark clothes and a dark mask covering the low portion of his face, police say. The other is also slim and in his 20s, also possibly of East Indian descent, but was wearing light coloured clothing and possibly grey pants. Police haven't released a description of the getaway car. Anyone who witnessed the incident is asked to contact police. Students and staff were advised they could move freely around campus but that they should steer clear of the police investigation. Classes will resume as usual Friday, the school said. Following speculation online about a possible "active shooter" on campus, Niagara police took to Twitter to dispel the rumours. School officials say they will be reviewing with campus security how details of the incident were communicated to students Thursday night. Residence Life staff are currently available in Lowenberger Room 134. Counselling services are also available to everyone on campus 24/7 at 1-833-276-2533.